Do you have a fear of public speaking? 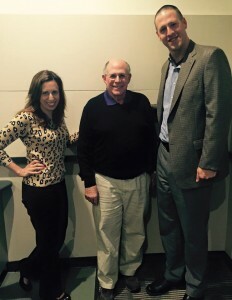 Listen to public speaking experts, Rebecca Klein & Keith Scott of TALL SMALL, interview on the AHA Business Radio Show June 2nd, 2015. “General Motors, Procter & Gamble and Kennedy Krieger Institute. They’re just three of the clients that have turned to TALLsmall Productions to coach their teams on public speaking and overall communications.